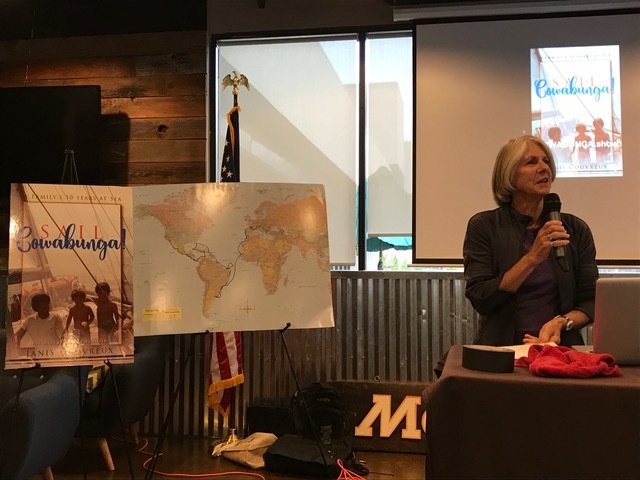 The Sunrise Rotary chapter of Santa Rosa warmly welcomed Janis, Thursday, Aug. 2, 2018, as she recounted the story of Sail Cowabunga! to an internationally focused audience of travelers, sailors, and exchange student program staffers and organizers. This was the second of several scheduled Rotary appearances for Sail Cowabunga!